How Can You Celebrate Australia Day Outside Australia? Every year, January 26th is celebrated as Australia Day. It marks the establishment of the first European settlement in Australia in the year 1788. It is a national holiday and is celebrated in a completely different way. There is a day off for everyone, whether it’s school, college, government office, or any business. People enjoy their day by going to barbecues, concerts, or watching outdoor sports. Different cities in Australia celebrate this day differently. Like in Sydney, ship race is organized, while the people of Adelaide celebrate the day by doing a parade or attending any concert. And, in Canberra, Australian citizenship ceremony is held. It is celebrated at Elder Park every year. It is one of the largest parades of the country which is attended by more than 4,000 people. The Australia Day parade in Adelaide includes community groups, vintage cars, horses, and marching bands. In the evening, the spectacular display of fireworks light up the whole sky. You can enjoy this amazing view from the two vantage points, both situated near the beautiful River Torrens. Spending this Australia Day by participating in this local tradition is an unusual yet the most exciting experience. Story Bridge Hotel has been hosting this entertaining event from last 35 years. To get an entry, you have to donate a gold coin which further goes to the charity. This is how one can enjoy Australia day in different cities of Australia. But, wait what about those people who are flying to other countries due to urgent work? How would they celebrate? Because those, who are in Australia will surely run down the downtown. Well, on this occasion those who are not in Australia can also enjoy Australia Day activities, no matter which country they are flying to. If you too have any immediate plans, then look at a few countries in which you can enjoy this day at the best. Every year, outside Australia, the largest celebration of Australia Day happens in the United States of America. It is held for over ten days in January with G’ day in the USA. One can easily enjoy the Australian food & wine, art & culture, and fashion & business film. All the main events are organized on the 28th of January, mostly in Los Angeles. Last year, this event had attracted many of the Australian icons. If anyone loves something less fancy and more traditional, then he/she can drive down to annual Australian Day BBQ. Or they can enjoy, cricket and baseball matches in Houston. For those who are not lucky enough to attend Australia Day in Australia or even in the USA, then they will be glad to know that Canadians are not too bad in celebrating this event. In January, celebrating Australia Day in Canada is as easy as hiring a cab. With the best snowfall happening in this month, Canada is the best place to feel the hot temperature of Australia. Whistler is commonly known as Whistralia. It is because of the highest number of the Australian population. Here, one can easily find the best place where Australia Day celebrations for toddlers happens. Fancy dress parties and ski slopes are the most common ones. Bars and clubs are packed by 9 am onwards. London, where the Australian live the most than any other cities in Europe. This means one can certainly find a place where Australia Day is celebrated. 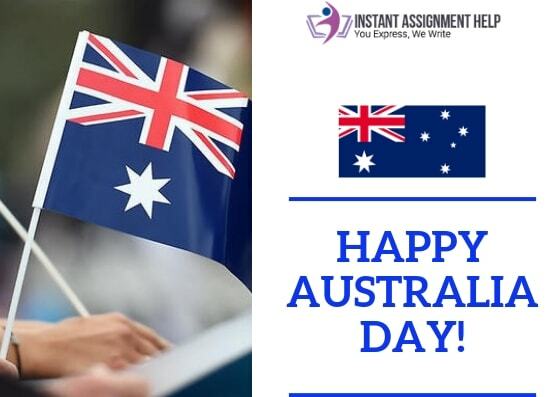 On this Australia Day, if you are unfortunately not in Australia but in the UK, then you need not worry. Hire the cab from the Heathrow airport and attend the event called Straya Day Weekender. You can enjoy the cult classic movies like The Castle, The Ballroom, and many more over there. If you want to erupt in laughter, you can attend many live comedy shows held in clubs and pubs across London, after all, Australians are known for their amazing sense of humor. So, this Australia Day, you don’t have to regret that due to flying overseas you’re missing to celebrate this amazing event because globalization has brought everyone closer. You can easily celebrate this event in any corner of the world.